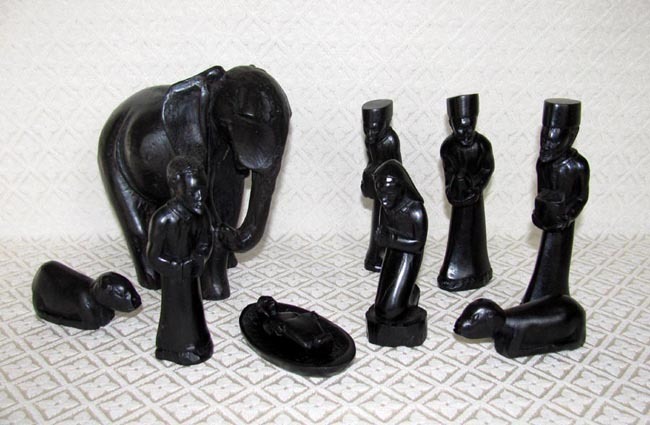 This Nativity was hand-carved from ebony wood in a remote area of Mozambique. The artist is unknown. The set contains nine figures: Joseph, Mary, baby Jesus in a manger, two sheep, an elephant, and three kings with gifts. The tallest wise man stands 5 inches tall.